How it works - Wedge-It …. 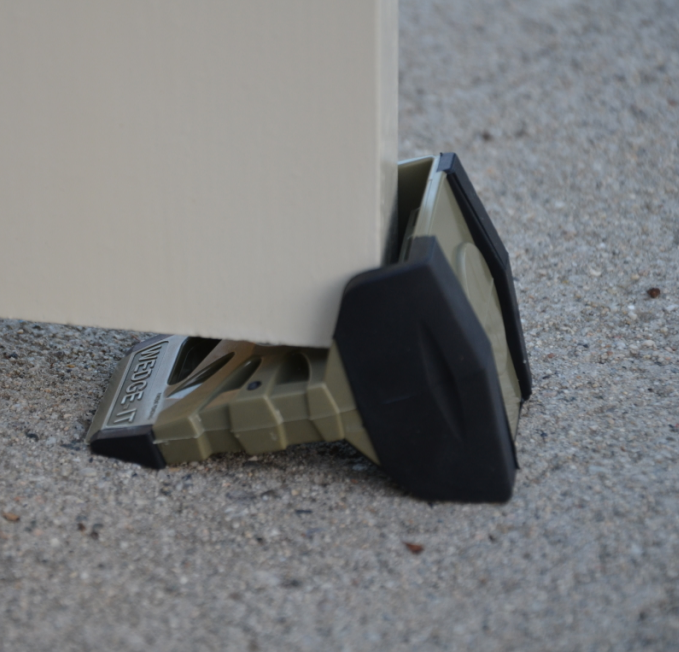 the Ultimate Portable Temporary Doorstop! 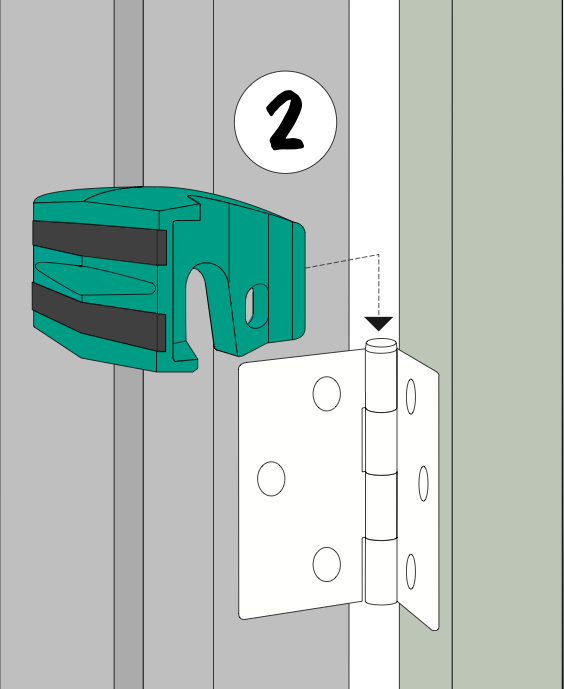 With door open to a 90 degree angle place the Wedge-It on top of the door between door and door jamb. 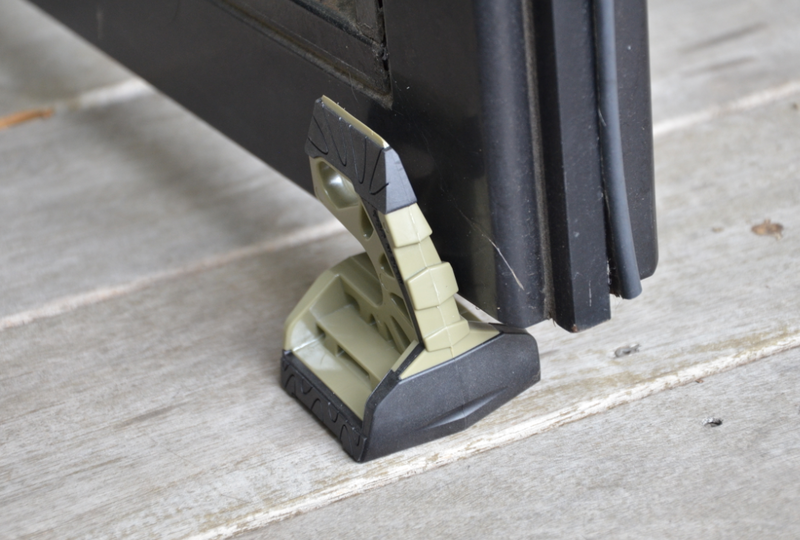 The Wedge-It is designed with 4 different settings to fit between the top of the door and the door jamb (see below). This is because that distance varies between doors. 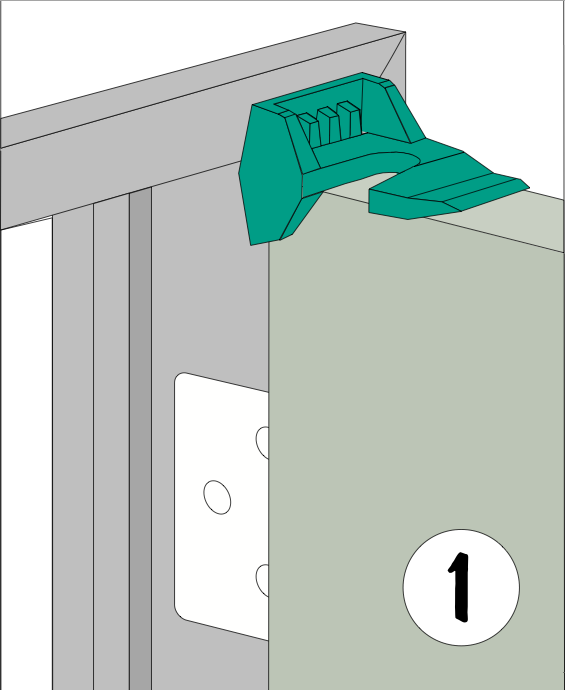 With door open to a 90 degree angle place the Wedge-It over hinge between the door and the door jamb. 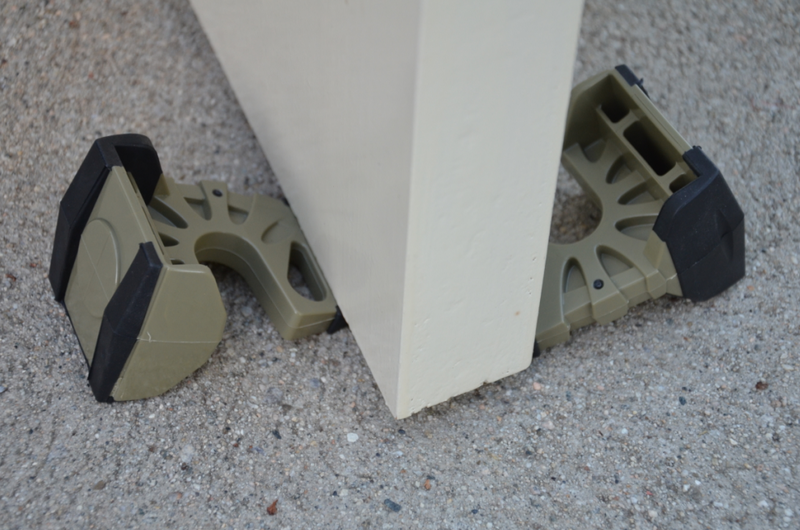 The Wedge-It can be used rubber pad side down on the floor like a traditional wooden or rubber door stop. 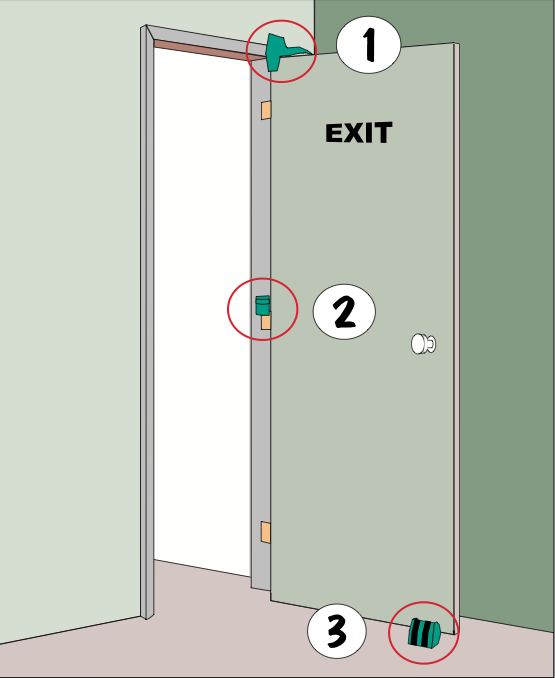 If the gap at the bottom of the door is greater than 2 inches, placement of the Wedge-It in a vertical position could / would hold the door open. 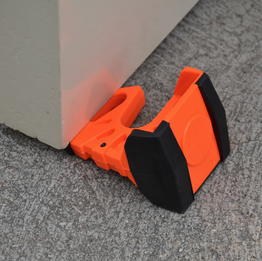 *Placement and success of the Wedge-It doorstop is dependent upon the door. 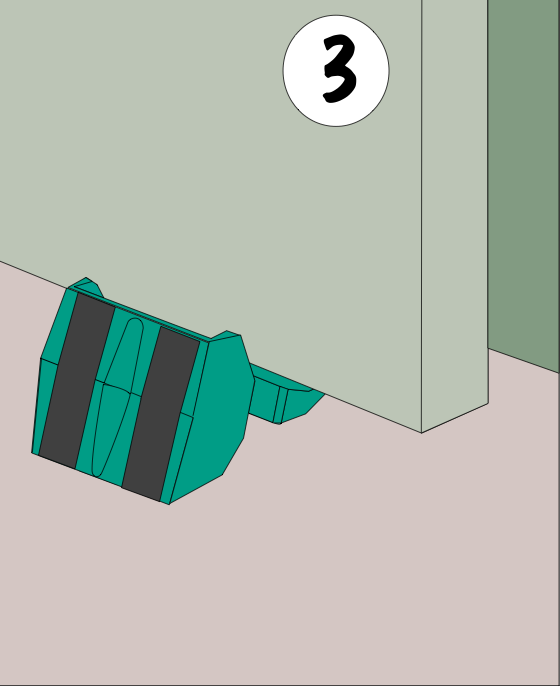 One Wedge-It can be placed at the end of the door or 2 Wedge-Its can be placed on either side of the door to keep it open at varying angles. 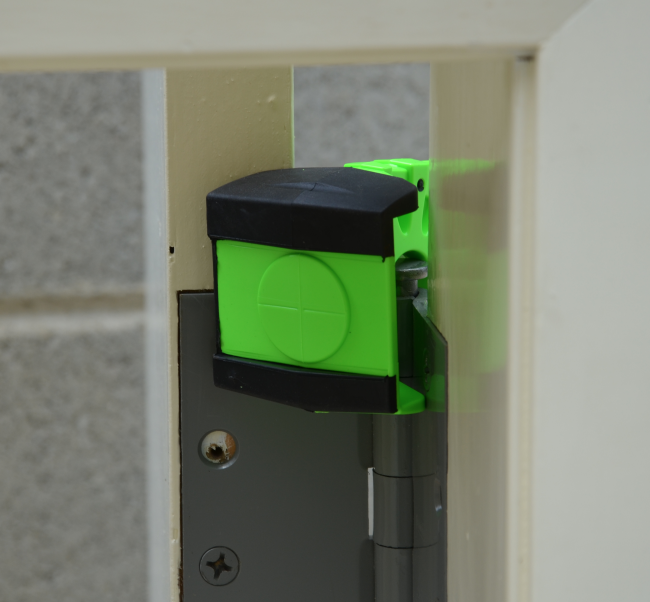 *This placement and success of the Wedge-It is dependent upon the door. 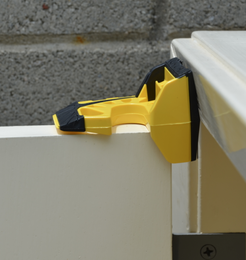 *Caution: DO NOT attempt to close the door with the Wedge-It placed on top of door or over the hinge, this could cause damage to the door or Wedge-It. 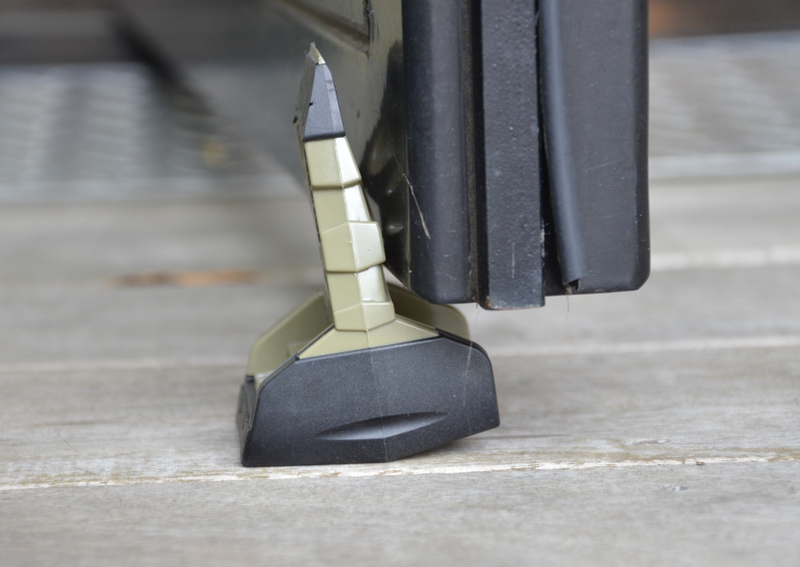 No problems will occur when the Wedge-It is placed on the floor.